Right from the very start, the hippodrome was a popular, fashionable destination for the Bruxellois to meet acquaintances, relax and enjoy sports activities. After a period of semi-abandonment during which it fell into disrepair, the hippodrome is once again rising from the ashes! An oval shape, an original concept ! During the 18th century, the British fashion for horse racing gained ground in Belgium. In August 1875, at the behest of Leopold II, the State ceded a portion of the Forêt de Soignes to the City of Brussels to create a racecourse and pigeon shooting ground. In 1878, the SRE (Royal Society for the Improvement of Horse Racing) set up a racecourse based on plans by Edouard Keilig, the landscape architect behind the Bois de la Cambre. The track was an unusual elongated oval shape, making it trickier than the average course! Around the edges sat the main and small grandstands. The finish line for the races was located between the two grandstands, with spectators sitting ringside for the home straight. The “lawn” was located in the centre of the track where, for a reduced price, you could watch the action up close! 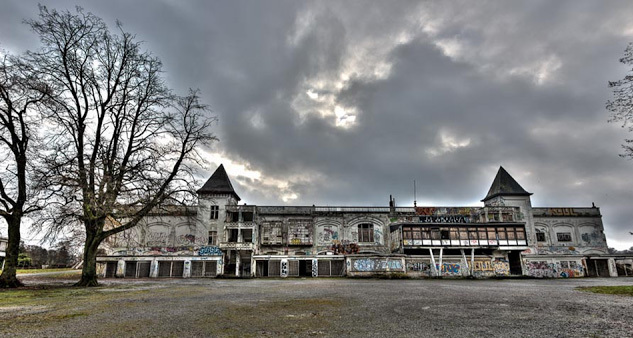 The weighing room was built in 1900 by the architect François Kips. It is where jockeys were weighed wearing their uniforms and holding their saddles. The lightest of them were weighted down to give everyone an even chance in the race. 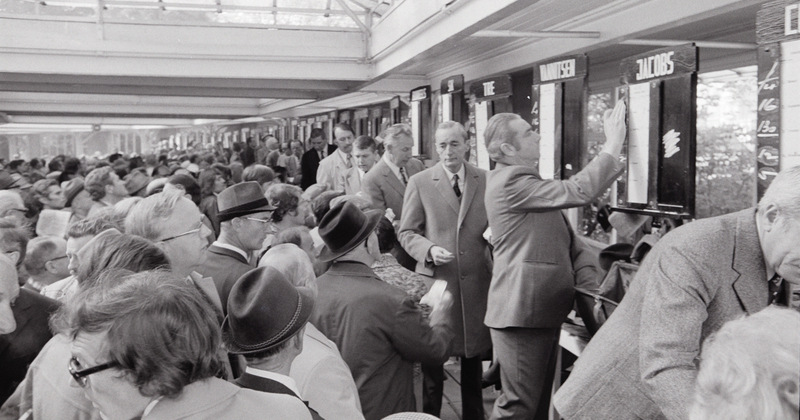 bookmaking, which took place at counters under gazebos located behind the grandstand – the area that today is known as the Betting Village. Horse racing enjoyed its golden age between 1880 and 1940. From 1942 to 1951, architect Paul Breydel added a number of Modernist buildings and annexes including the famous Weighing Room Annex. Besides the races, the site hosted a diverse range of activities such as fashion shows and society parties. From the 1980s onwards, the races were attracting fewer and fewer spectators. In 1995 the horses made their final lap of the track. The end of horse racing on the site led to the gradual decline of its prestige and remarkable heritage. During this period, the site occasionally played host to leisure activities and festivals, from theatre to events, circuses, trade fairs, flea markets and funfairs. However, due to a lack of maintenance it continued to deteriorate. Following the launch of an unsuccessful call for tenders in 2006 by the SAF (Brussels property acquisition corporation), the SAU (Brussels urban development corporation) launched a second call for tenders in 2012. The Region wanted to use this exceptional site to develop an original project that was adapted to the local environment and Brussels’ unique heritage. 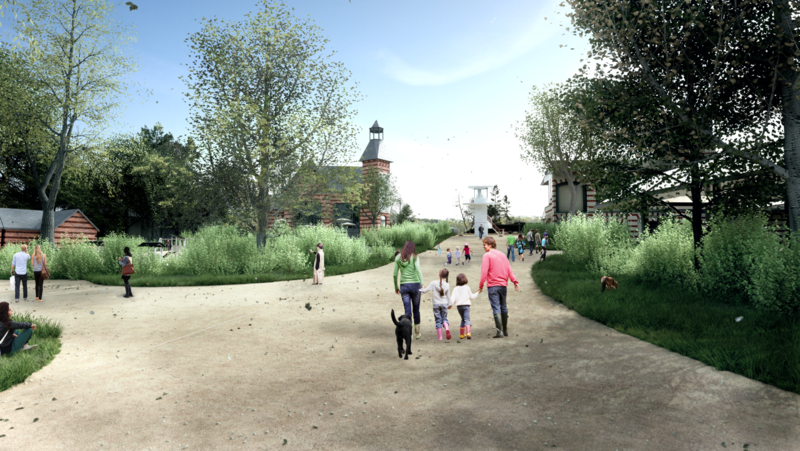 The project was to be open to as many people as possible and would offer leisure, educational and cultural activities while acting as the gateway to the Forêt de Soignes. Out of the seven proposed projects, it was the VO Group’s DROHME Melting Park that walked away the winner. In August 2014, the SAU began restoring the outer shells of the Grandstand, Small Stand, Weighing Room and Tour de Départs buildings, which were completed in June 2016. VO Group created the company DROHME Invest to operate the franchise for 15 years, maintain the grounds and infrastructure, and manage the Melting Park itself.